366 sq.ft. - 844 sq.ft. 1851 sq.ft. - 3897 sq.ft. 547 sq.ft. - 844 sq.ft. 562 sq.ft. - 866 sq.ft. 439 sq.ft. - 772 sq.ft. 1038 sq.ft. - 3088 sq.ft. 504 sq.ft. - 1200 sq.ft. 652 sq.ft. - 955 sq.ft. 634 sq.ft. - 1870 sq.ft. 2082 sq.ft. - 4286 sq.ft. Looking for Properties in Pune or any Residential Projects in Pune this trusted Real Estate portal will help you find right home on your right budget. Pune city was formerly pronounced as "Poona". Pune is considered to be of the greenest city. It is the second populated city which is one of the near to and similar city just like Mumbai. As Pune city is in Maharashtra state so Marathi is the official and most spoken language in all parts of the city followed by Hindi, Kannada and English are spoken by a significant part of the population. Once Pune city was proudly known as the "cycle city of India" since thereafter Pune has experienced a tremendous growth in the number of engine fitted two wheelers resulting in the reducing number of bicycle. Now the counting of two-wheelers has grown very rapidly. More than 45% of the population stays in slum till today. Many other villages in the nearby areas now have been absorbed by the cities of Pune and Pimpri-Chinchwad in recent past 10 years period. Earlier called some of the villages now have grown into fully developed suburbs like as Kothrud, Katraj, Hadapsar, Aundh and Baner. Pune also has seen its industrial growth in the Pimpri, Chinchwad and Bhosari areas allowed these areas to absorb as the separate city of Pimpri-Chinchwad. It is also said that the two cities which is Pune and Pimpri-Chinchwad along with the three cantonment areas of Pune, Khadki and Dehu Road form the urban(city) core of the PMR(Pune Metropolitan Region). The key sectors of the local economy which are also the pillars are education, automobile manufacturing, government and private sector, research institutesand now Information Technology (IT) has also set boom in the Pune city areas like Hinjewadi. Many of the well-known names from the automobile sector have setup their plant in Pune. Pune has been considered and it is amongone of the single largest hub for German companies for the last 60 years. Over 225 German companies have set up their businesses here. Pune has now become a vital industrial a very large and busy city due to which it has become interest of migrants from all other parts i.e. states of India. If you see there aretop five major source areas of migrants are Karnataka, Uttar Pradesh, Andhra Pradesh, Gujarat, and Rajasthan. Pune has more than hundreds of educational institutes and alsoit has nine deemed universities excluding university of Pune which is now known as Savitribai Phule Pune University. Many lakhs of students from across India study in Pune at nine universities and it has more than a hundred educational institutes. Pune is known for education since many yearsand historically it has been popularly known as a center for higher education and has been knowingly referred to as the educational capital of India. Higher education are not only taken by students from within city or India but these educational institutes enrolls international students mainly from the Middle Eastern countries such as United Arab Emirates and Iran also African countries - Ethiopia and Kenya. Foreign languages are also thought here Japanese language training center is the largest followed by the German and French languages. Pune also offers the Military Intelligence Training School which gives diploma courses in combat intelligence, aerial imagery, counter intelligence and interpretation. Indian highways and state highways i.e. national roads establishes a very superb connectivity in Pune. Two cities gets connected with Mumbai-Pune Expressway, which is boon the overall connectivity of the city. Expressway has clearly reduced the travel runtime between Mumbai and Pune effective by 2 hours. National Highway 4(NH-4) connects Pune to Bangalore, Mumbai and Kolhapur and on other side NH 9 joins the city to Hyderabad and NH-50 connects to Nashik. The State Highway connects the city to Aurangabad and Ahmednagar. Pune International Airport situated at Lohegaon which is regulated by AAOI gives decent domestic flights to major cities across the country. Local trains in Pune connects it to Lonavala and Pimpri-Chinchwad, whereas daily express trains going connects to across India to all states and rest cities of the country. Since past few years Pune city is consistently growing and slowly observing a big change in it i.e. from Infrastructure perspective. Real Developments shows you all the infrastructure development like road, bridges, flyovers in and around Pune. 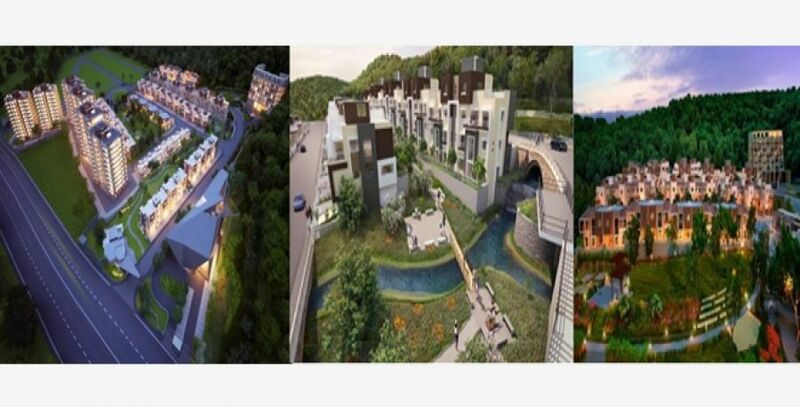 Properties in Pune are searched online with some of the most popular words Home in Pune, Flats in Pune, 1-BHK flats in Pune, 2-BHK flats in Pune, 3-BHK flats in Pune, plots in Pune, villas in Pune. 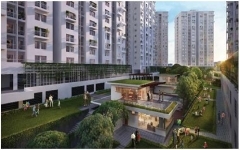 With the ever increasing input cost of the developers along with the rise in investor's demand from the property locations is what moves the property in Pune and the overall Pune real estate sector. Rapid decrease in the greenery of Pune city has been witnessed due to population increase and home demands. 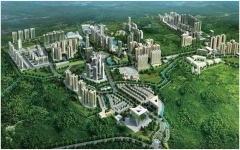 Especially from the west zone of Pune where IT zone have emerged and still filling more IT business. 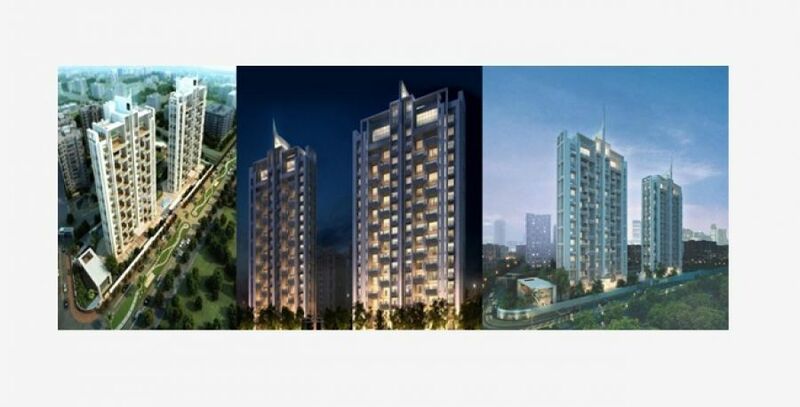 Predicting the future of Pune's realty fortunea decade back Godrej properties have put their foot on land of Pune and also have been responsible for the property growth of Pune city. 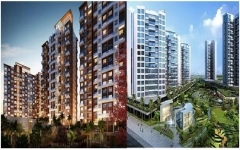 Since in 10 years all in total 9 projects all over Pune land with an approximation of 25 mn square feet has been developed with beauty marking with uniqueness of Godrej's construction. 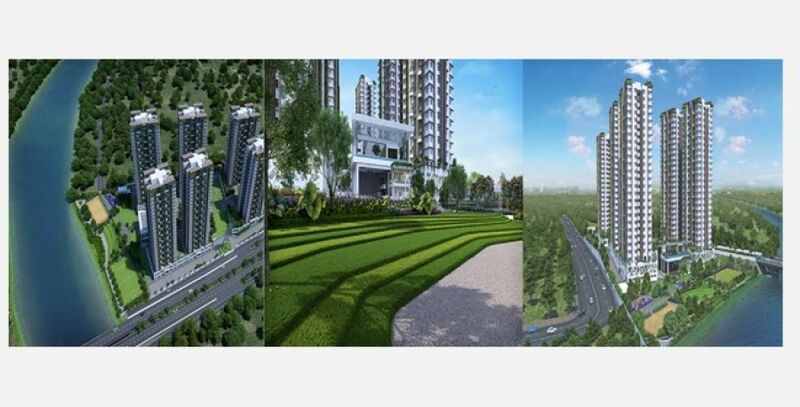 Built trust and won heart of count over 3355 number of customers Godrej construction is growing gradually by following similar footsteps just like they did in Mumbai. 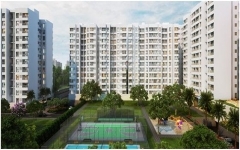 Godrej project being located in the city location it has an extended lifestyle at decent chintzy pocket prices gives Pune a proper urban shape over popular destinations even in Mumbai. 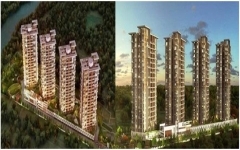 Also if you see areas it further offers the most competitive prices like Hinjewadi which is almost one fourth of that in prime place like the Koregaon Park. 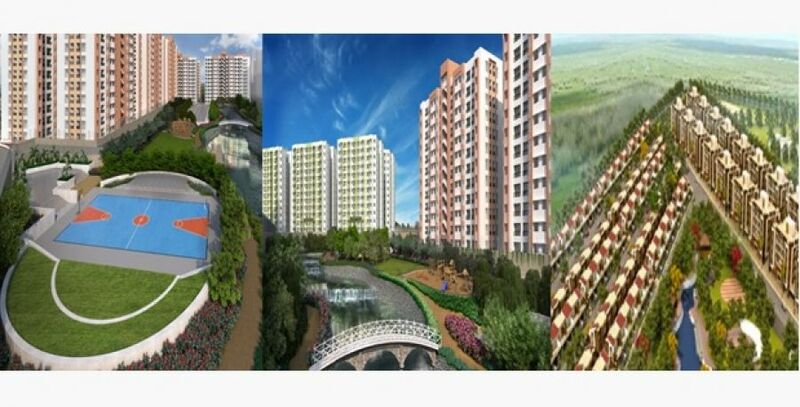 This project developed by Godrej is dwelled home to one near to India's biggest IT parks which is having more than 200+ IT and ITes companies like HCL Technologies, Tata Technologies Ltd., Persistent Systems, Mindtree Limited, Wipro Ltd., Cognizant Ltd., Sterlite Technologies, ISH Infotech and many more which imposes of more than 1.5 lac+ employees. 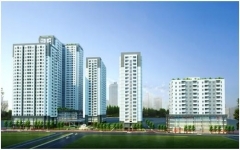 Due to rise in IT people this area has witnessed an increasing development of homes and it also serves to feed the ever growing demand for rental apartments. 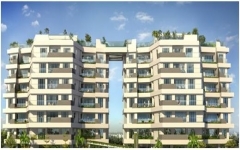 Presence of multiple educational institutions, excellent road connectivity, upcoming Pune metro rail, More than 4 lacs employee commute to Hinjewadi, presence of multiple educational institutions like Mercedes Benz International School, Symbiosis Institute, International Institute of International Technology. 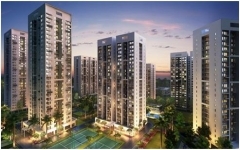 Other ace players in Pune real-estate market are Ranjeet Developers, Goel Ganga Group, Paranjape Schemes, Mittal Brothers, Kolte Patil Developers, Namrata Group, Kumar Properties, Gagan Properties, Kohinoor Group, Rohan Builders. 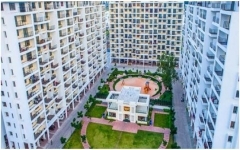 Well-known projects of Pune are Vastu Tejonidhi, Magarpatta Nanded City, Mittal Akshardham, Amrapali Aurum Towers, Nitron Landmark, Gokhale Group Anandban, DSK Kasturi, D. R. GavhaneAnkur, SKD Shiv Samruddhi, Vishwa Vinayak Residency, P4 Ventila, Aarav Balboa Avenue, Urban Shroff Signature Heights Phase 2, DSK Gandhakosh, Shamaprasad Mukharjee CHSL, Ravima Feel Bliss, Venkatesh Graffiti, Aditi Splendor Residency, Magnum lifestyle, Chandrarang La Melosa, EDEN LA'MONTE CARLO, Sai Raj Heights, Hillside Gagan Adira,Tanish Pride, JM Adi Amma Bliss, Shraddha Landmark Kanchi Enclave.